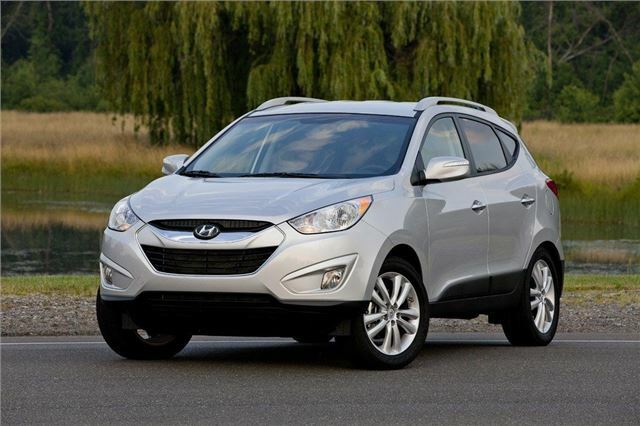 Hyundai and Kia have admitting overstating the fuel economy figures of cars sold in the US. And in a move that could have ramifications across the industry, have promised to reimburse owners. The firms will also correct the figures of the 13 models affected including the Hyundai Veloster, Hyundai Tucson - sold here as the ix35 - Kia Rio and Kia Soul. In total 900,000 cars, sold between 2011 and October 2012, are affected although there are conflicting reports as to how the error was discovered. Hyundai and Kia blame 'procedural errors' at their joint testing facility in Korea but the Environmental Protection Agency (EPA), the US agency responsible for publishing the figures, says it uncovered the problem. All models affected are petrol-engined US specification cars and the corrections will see an average reduction from 27mpg to 26mpg (these are US gallons rather than imperial gallons which we use in the UK). Some models are affected more than others, for instance a Kia Soul 2.0-litre automatic petrol which had a claimed combined 29mpg now has a figure of 25mpg after the corrections. Hyundai and Kia are issuing personalised debit cards to owners in order reimburse them for the difference in the economy figures, based on the fuel price in their area and their mileage. On top of this, the firms are adding a further 15 per cent "as an acknowledgement of inconvenience". Owners will be able to top up their debit card for as long as they own the car while previous owners of affected cars will be reimbursed the same way. The announcement will come as a shock to other car manufacturers, especially as the move is expected to cost Kia and Hyundai millions of dollars. "Given the importance of fuel efficiency to all of us, we’re extremely sorry about these errors,” said John Krafcik, president and CEO of Hyundai Motor America. "When we say to Hyundai owners, ‘We’ve got your back,’ that’s an assurance we don’t take lightly. We’re going to make this right for everyone, and we’ll be more driven than ever to ensure our vehicles deliver outstanding fuel economy," he added. The admission from Hyundai and Kia in North America won't affect cars in Europe though. Due to the difference in the fuel economy tests between the US and the EU, Hyundai says there are no similar issues with cars in Europe or the UK and there are no plans to re-test any cars. "The issue arose from a certain part of the test - called 'coastdown' - carried out in Korea. Our fuel economy figures are carried out with through a different process and according to the EU legislation so we're confident that they are accurate," said a Hyundai spokesperson. Official fuel economy figures have been a contentious issue for many years with car owners often complaining that they are not able to achieve the manufacturers claimed figures. These are sometimes labelled as EU figures but many people are not aware that there is no independent test. Instead the manufacturers test their own cars, under conditions dictated by the EU. Called the New European Driving Cycle, the test involves a number of short runs on a rolling road under under laboratory conditions, designed to replicate 'real' driving. Essentially all manufacturers have to put their cars through the same test which should mean a level playing field. However, every car manufacturer is going to tune their car to perform well in this test. This explains the prevalence of small turbocharged engines. During the test, the turbo barely has to work, so the engine seems frugal, but in real world driving - and as soon as the turbo kicks in - fuel economy drops dramatically. Hence the discrepancy in figures. Essentially the car is designed to be economical in this test, rather than in the real world. It was these discrepancies and the frustration of car owners that prompted Real MPG - our way of helping car owners and buyers to find out what the real fuel economy of their car is. Owners can add their own mpg figures to give a genuine average for a model and the real mpg figures make for interesting reading when compared to the claimed figures. Below is the full list of models affected by the changes. Some of the Hyundai models sold in the US are similar to those in the UK, albeit under different names and with different engines and specifications. The Accent is a saloon version of the i20, similarly the Elantra is a saloon version of the i30 while we'd recognise the Sonata as the i40. The Tucson is the US version of the ix35 while the Santa Fe Sport is the same as the Santa Fe in the UK.